Climate Code Red: Plus 2°C in 2052. What to do? 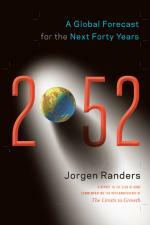 My answer is available in 2052 – A Global Forecast for the Next forty Years (see www.2052.info). The main message is simple: I predict that the world average temperature will surpass plus 2°Celsius over preindustrial times – the internationally agreed danger threshold – in 2052. And continue upwards, condemning our grandchildren to the likelihood of climate disaster in the second half of the 21st century. This means that the global future will resemble one of the twelve scenarios from The Limits to Growth in 1972. 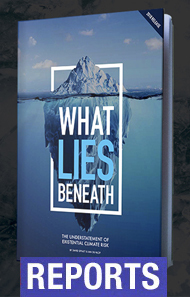 The world will follow the “persistent pollution scenario” – overshoot and collapse with CO2 as the “persistent” pollutant, which once emitted resides in the atmosphere with a half life of a hundred years. I do not forecast an energy crisis, a resource crisis, a food crisis, a water crisis – or the realisation of one of the more optimistic scenarios from Limits. I believe that man-made greenhouse gas emissions will prove to be the real problem. This is because the human footprint will be smaller than most people expect. The future world population and GDP will be much lower than commonly forecast: The global population will peak at 8 billion around 2040, and the world GDP will only grow at 2% per year to 2052 – half historical rates. There are two major reasons: women will choose to have fewer children and economies will find it more difficult to grow as they mature. As a consequence humans will use fewer resources. And rising greenhouse gas emissions will be the critical factor shaping our life on Earth. Climate change will trump resource scarcity. One consequence will be a smaller world economy in 2052. Another will more poverty than commonly forecast. Climate emissions could easily have been reduced if humanity decided to take action, but humanity won’t because of myopia—simply look at the tepid goals and strategies adopted by the Rio+20 conference and the automatic negative reaction by the younger generation of climate activists They know from past experience that there will be insufficient investment in solutions. A good life for our grandchildren is being sacrificed for short term gain for ourselves. In modern democratic market economies, investments mainly flow to what is profitable, not what is needed. The short term nature of markets could be modified by legislation – as for example a tax on carbon. My point is that this is unlikely to happen in democratic society, because the voter is focused on short term income growth. Most voters won’t support higher prices for gasoline and electricity. Another solution could be new supranational institutions that impose a common long term perspective on nation states. But a full 20 years of talking after Rio 1992 has produced little progress. Luckily my forecast is a cliff hanger. A small change in the human response would suffice to create much better life for our grandchildren. For example shifting one to two percent of the global work force and global capital into climate friendly sectors would do the trick. Auto workers could make electric cars rather than fossil fuel ones, build solar plants rather than coal fired plants, and construct smaller well-insulated homes rather than big un-insulated ones. The income loss would be small, the effect on distribution – the split between now and the future – big and desirable. At the aggregate level the need is to introduce systems of governance that place more emphasis on long term effects: Global society needs structural long-termism to counter current short termism. For example temporary techno-dictators or a global central bank for climate gas emissions rights. Have fewer children, especially in the rich world. Reduce the ecological footprint, first by slowing the use of coal, oil and gas in the rich world. Construct a low-carbon energy system in the poor world, paid for by the rich. Create institutions that counter national short-termism. But most importantly, the coming crisis should be used to develop new goals for modern society. To remind us all that the purpose of society is to increase a total life satisfaction, not (only) to have each person contribute to the gross domestic product. 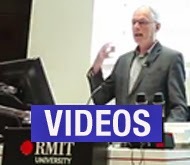 Jorgen Randers is professor at the Norwegian Business School BI and co-author of The Limits to Growth in 1972, the Report to the Club of Rome, and its two sequels. 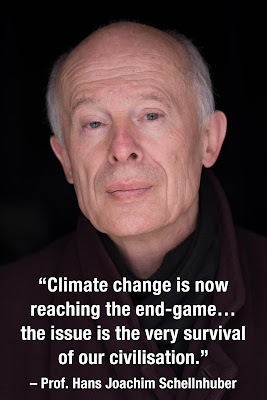 His most recent book, published in May 2012, is 2052 - A Global Forecast for the Next Forty Years, also a report to The Club of Rome.